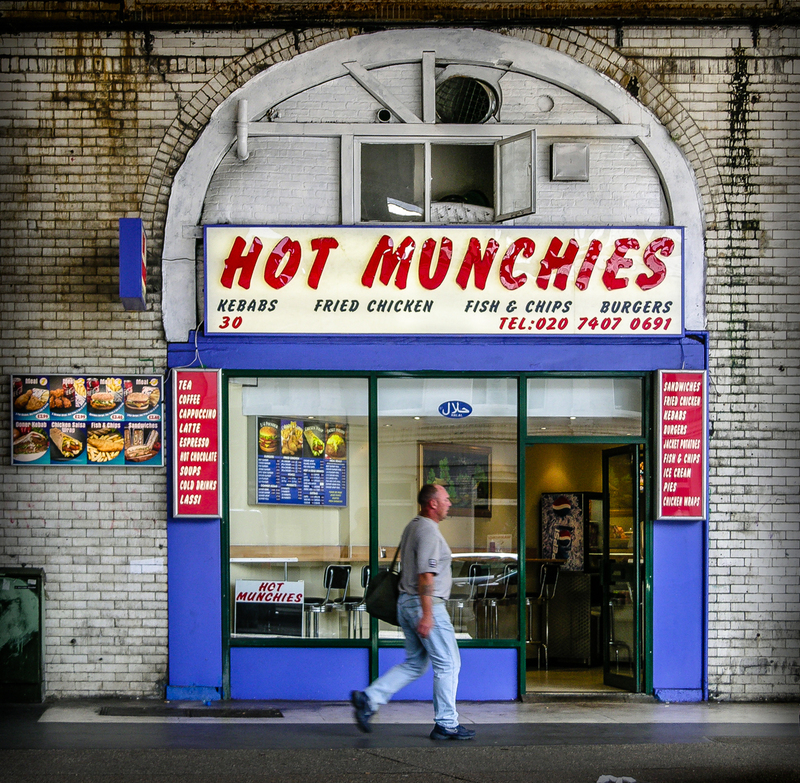 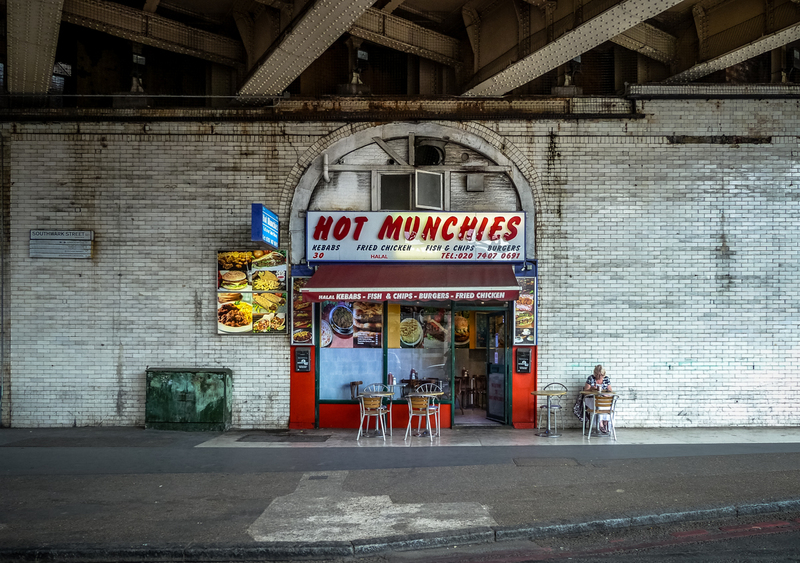 Hot Munchies, 30 Southwark Street, Borough of Southwark, London SE1, 2004, 2011, 2016 • Cheekily named arch cafe amidst sea of dirty viaduct tiles. 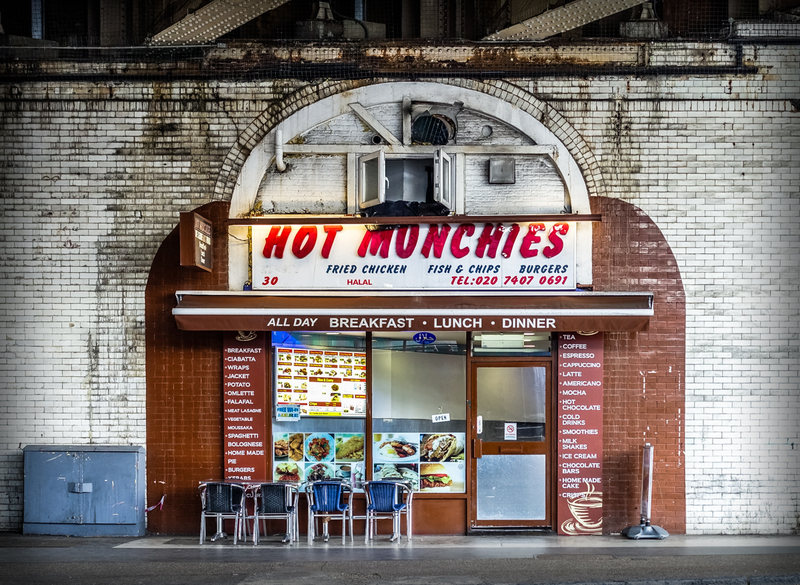 Still there in 2018, as all around it gentrifies. 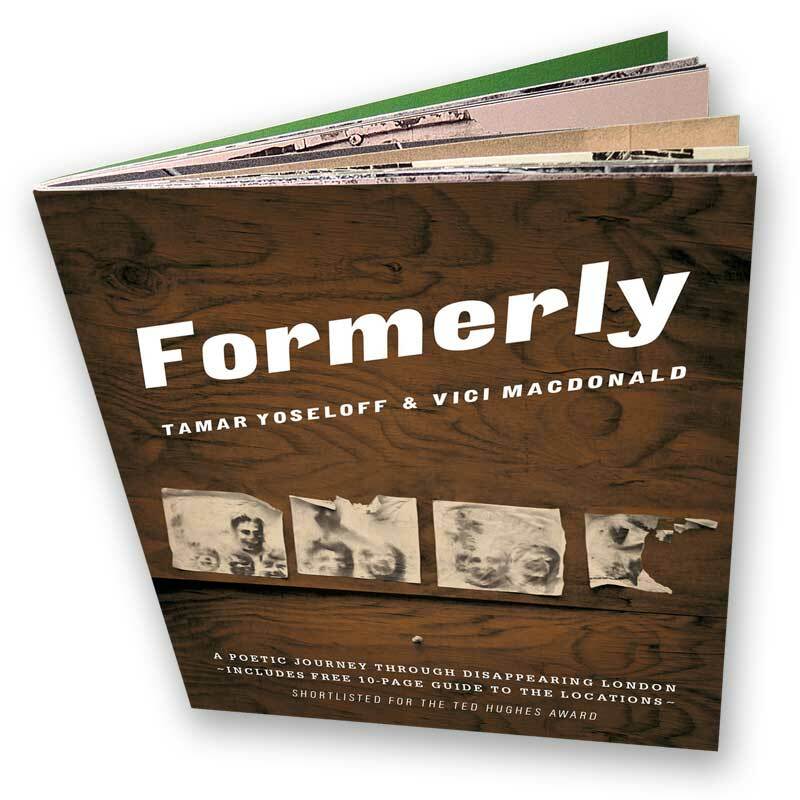 Shown below in 2004, 2011 and 2018.